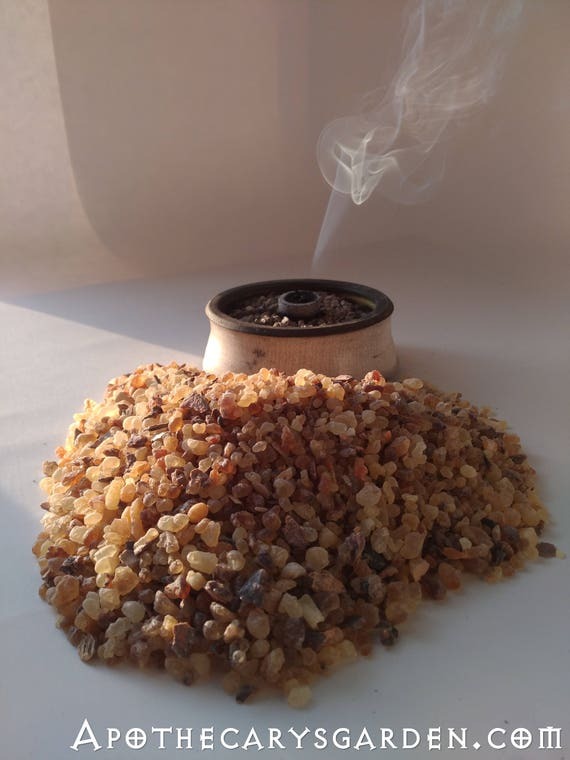 For all those who pre-purchased, or are otherwise waiting for my promised February distillation of Frankincense Frereana, the wait is over. Since selling out of the first distillation, packing up and moving, I have finally set up shop on the other side. Though by no means at full steam yet, orders are going out, the first tinctures and oils are macerating, and the drip drip, drip of a still has been heard again. This also means that there are a number of Boswellia Frereana essential oil bottles back in stock in the Etsy shop. As usual, this is a small and intimate distillation, not a factory or production run. The advantages of such a small distillation are evident in the quality and nuances of this oil. With a deeper amber note than the 2014 distillation, it opens with hints of Nutmeg, sweet candy, and citrus with a slight floral bouquet. 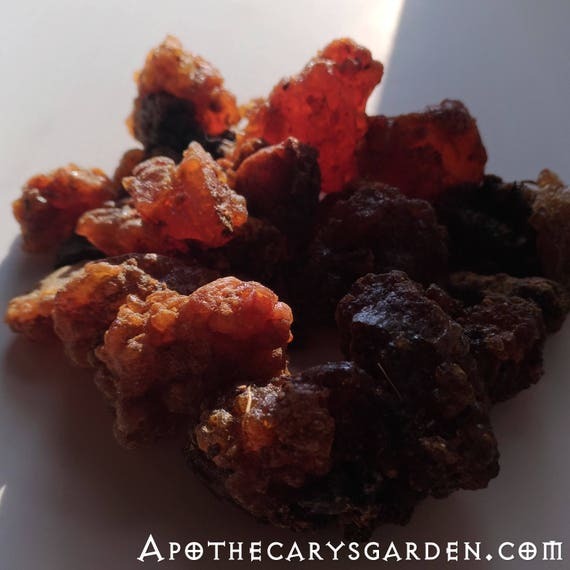 It dries down around the amber, disclosing warm leather and musk, to settle, eventually as a soft amber with a halo of delicate, sweet and muted,musky floral tones. Since I am starting from scratch here in many ways, I am led forward as much by circumstance and opportunity, as by intent. I find myself building an essential oil still from a Couscousiere. A Moroccan kitchen contraption that is optimized to steam large volumes of couscous. A simple device, but one that should lend itself particularly well to steam distillation of essential oils. Especially to the aromatic seeds such as Cumin, Coriander, Dill, and Carrot to name a few. The problem with still designs sold for home use is they often have a relatively small chamber for raw material. When one considers the miniscule percent of essential oils present in most sources, (often less than 0.1%), and the sheer quantity of material that is needed just to squeeze a few drops of essential oil from a distillation, one realizes quickly that their first “classic” still may only have the capacity to give them floral waters, and only deepen their yearning for a vial of self-distilled pure essential oil. It can be a disappointing experience with time wasted going over procedures to make sure one didn’t make a mistake. More often than not there was no mistake made in the operation of the still, but in assuming one should make the purchase based on limited information provided by the seller who omitted mention of the yield of essential oil the device could process. There are a few companies online that provide specifics on how much essential oil to expect from your home still, but they are the exception. This Couscous pot has a top fitting sieve that will hold 8 liters volume of Coriander, Dill , Caraway or Carrot seed, Allspice or Back pepper. The size of the holes is fortuitous. Because it is suspended above the water there is little chance of splash over of water from the pot to the condenser and receiver. The pot easily takes 12 liters of water which will carry off most if not all the essential oils in the material. I intend to set up a reflux or water return system after I have it running properly, to siphon the distillate waters back to the pot for extended operation. It looks promising. Alchemist applying lute, (gasket putty), to seal distillation vessels and keep the insides inside, the outside out. Some things don’t change. At a later date, I will address the drawbacks to adapting this pot, or maybe I’ll mention them now……. The drawbacks here, are my pet peeves with any improvised pot still ie., gaskets. A tisket a tasket, I wish I had a gasket. something bought or something found. a tisket a tasket, my pot-still needs a gasket, or 2. A gasket,,,,a gasket. I know I saw something that would be perfect. In the early days of recorded Alchemy, clay and ashes were among the standard materials for “Luteing” or sealing a vessel prior to distillation or processing through the fire. With the addition of vegetable oils such as Linseed, animal hair, plant fiber, cloth and many other ingredients, one could produce a waterproof luteing that would suit and seal a steam or hydro distillation. Today we have access to a boggling plethora of materials, many, we had never even dreamed of back then. If you have an inclination towards theories of reincarnation, then you likely notice the benefits of continuing one’s work in this era are growing daily. If you are reading this, you might wonder what brought you here and give a bit of thought to the idea of reincarnation. You never know why you are drawn to things. My messy study-Alchemist at work. Ora et Labora. The world we live in now is an improviser’s emporium of materials. An upcycled’s utopia, a craftsperson’s cornucopia. But with it also comes a risk of sensory overload with the abundance of new materials, processes and technological breakthroughs, the infinite possibilities that surround us. It can be easy to lose our focus, our connection and appreciation for the earth’s bounty, forget that everything is magical, that everything is alive in its own way, and deserves, even demands our respect. The modern day alchemist/craftsperson/artist/scientist and creator is likely to spend as much time in communion with the Divine and the creative spirit for the answers to technical conundrums, as in the quest for intellectual/spiritual enlightenment. But then, don’t all paths lead to the same destination? Are we not ourselves transmuted when we transmute the dull and leaden into radiant gold? Shaped and molded by our relationships? Balsamic Bro, this was another great read. All the photos were great but little miss kitty cat caught my heart. Thanks scented sis. Hehe, he’s a charmer and a perfect little gentleman! I want to take him away with me! Loved the artwork. It has snowed here once again, and that called for an anointing with Apothecary’s wondrous labdanum e.o. I am taking the lead to gold analogy into my day and my work. As always, DAn, thanks for the inspiration! 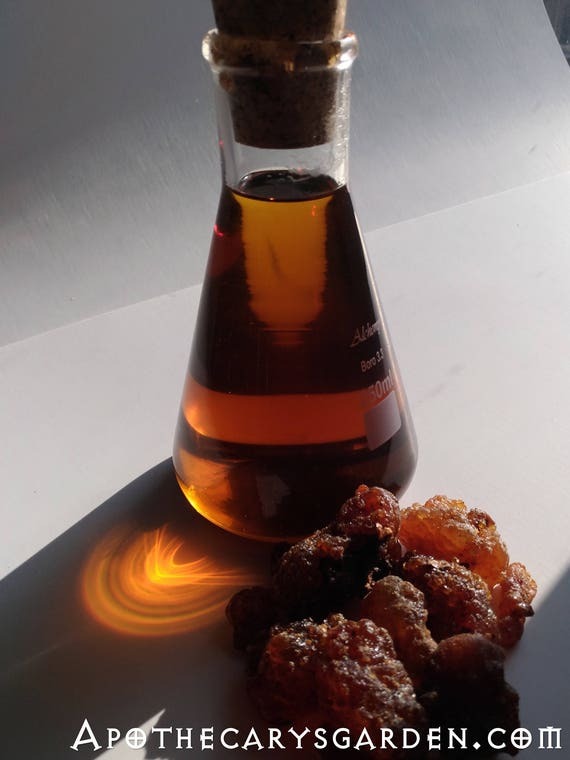 There is nothing like smelling Labdanum when it’s cold and snowing!